We use only the best rhum agricole, distilled from the fresh juice of sugar cane, and infuse it with botanicals and barks, many of them native to Haïti and foraged in the wild. The result is a dry, intense, and complex spirit with an elegant finish. Color: Amber. 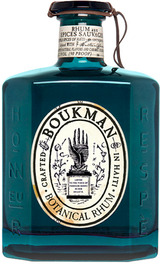 Nose: Close to an aged auricle rum, vanilla, bitter orange, cinnamon. Palate: Complex, can flavors, fruity and spicy. A hint of lime zest accentuates the floral notes. Finish: Long and crisp, dry and wood notes.